Wolves Dig Up Bony Leg! I’m no stranger to synchronicity, but the experience always brightens my day. Last night, in a dream, I saw a head peering through the darkness into the kitchen window. Startled by what I thought was a mid-winter bear, I looked through the patio door instantly seeing a pack of the most vicious, snarling, huge wolves lunging toward me. Picking up a chair to defend myself in case they broke through the glass, I stood frozen until they decided to run off to wherever wolves go. We’ve lived in Montana for almost nine years and have yet to see a single wolf. 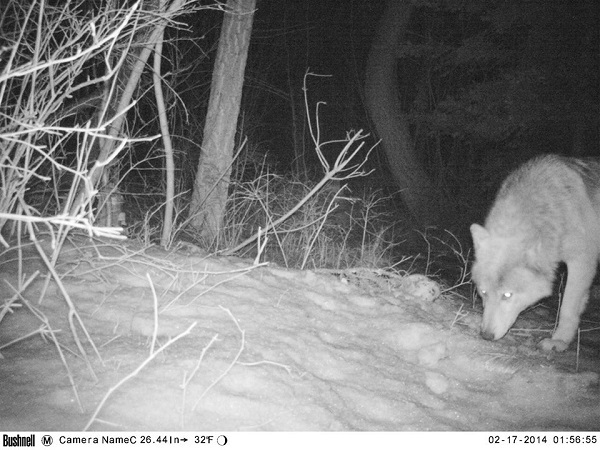 This morning I decided to check the trailcam after well over a week of neglect. After mostly deer pictures and the occasional human, something new popped up this morning. Was it a really heavy coyote? 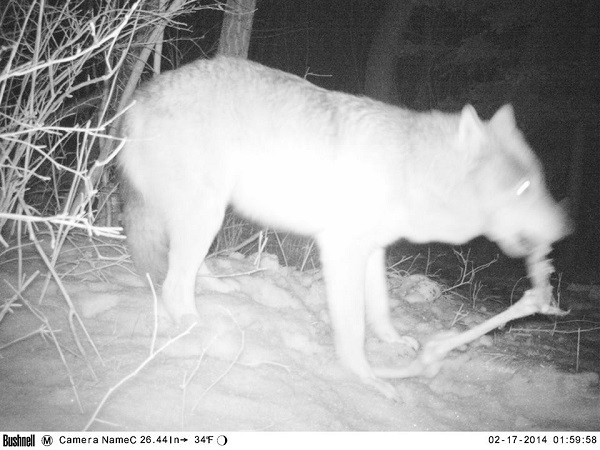 Nope, there were apparently two wolves digging up from under the snow, a pumpkin and one of Buck’s bony legs! 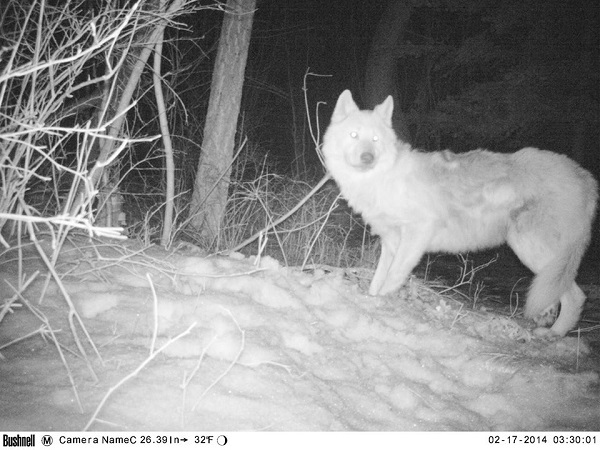 Today we discovered that unlike deer and humans, wolves pretty much ignore game trails and travel, without snowshoes, through the deep snow. 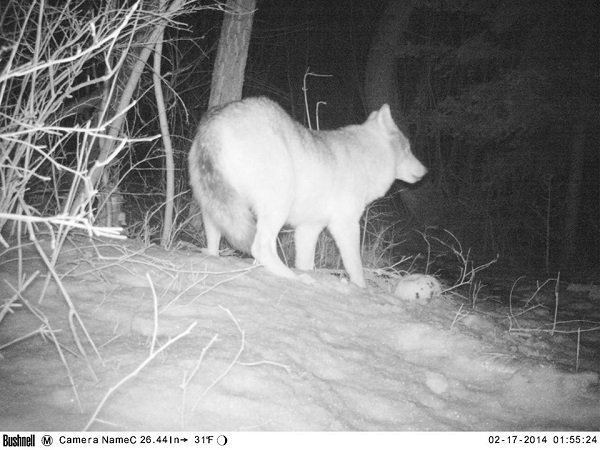 Glacier Country, TrailCam, Wildlife Montana, Trail cam, Trail Camera, wolf, wolves. permalink.